Mega Bloks Hot Wheels Urban Agent Stunt Rig ONLY $18 + FREE Prime Shipping (Reg. $30)! 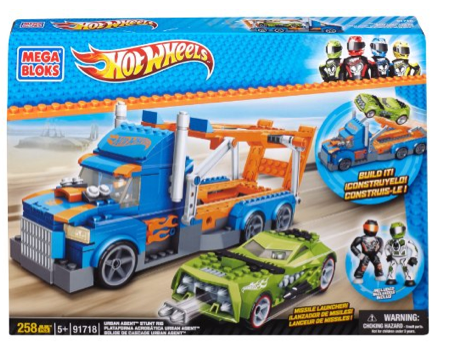 You are here: Home / Great Deals / Amazon Deals / Mega Bloks Hot Wheels Urban Agent Stunt Rig ONLY $18 + FREE Prime Shipping (Reg. $30)! Here’s a FUN deal for your little ones! Get this Mega Bloks Hot Wheels Urban Agent Stunt Rig for only $18 (Reg. $30) right now! Buildable Stunt Rig and Urban Agent Car! Secret front-end missile launcher that really fires!